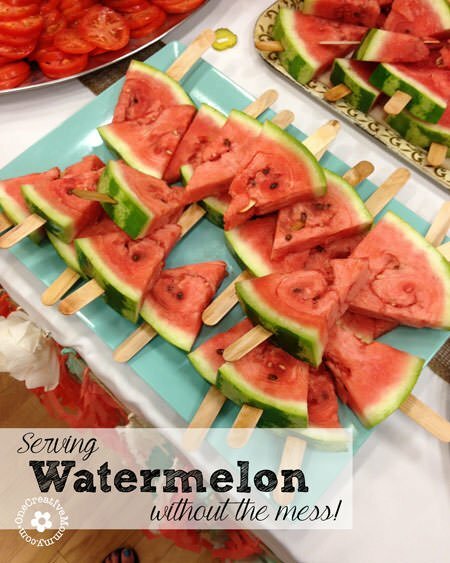 You are here: Home / All Recipes / Watermelon on a Stick — No Mess! 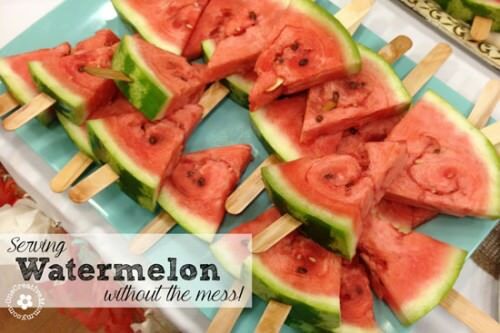 Watermelon on a Stick — No Mess! 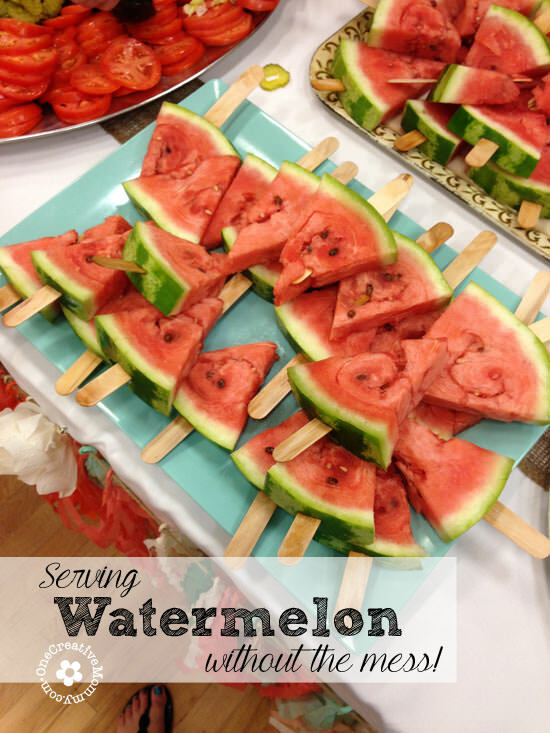 Today I’ve got a quick post with a quick and easy idea: Watermelon on a stick! Turn this sticky snack into a portable treat. I love watermelon, but I don’t love the sticky mess dripping down my arms! (Okay–I’m not quite that messy, but my youngest kiddos are!) I discovered this idea last year at a church activity. We had a picnic-style dinner, and it was so easy to grab a slice of watermelon without getting messy! Cut the watermelon into slices, and then wedges. With a sharp knife, cut a slit through the green rind. 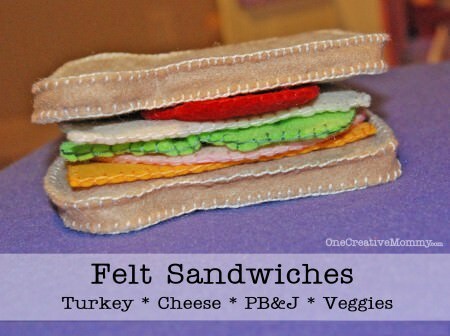 Serve it at a huge gathering or to your favorite kiddos! I had to laugh this morning. After working on this post, I saw this same idea on another website! I guess great minds think alike! Check out the video below for another great way to serve watermelon to a crowd of guests. Thanks for stopping by today! Need some more cool ideas? Images below are linked. Oh, I love watermelon too! I almost buy watermelon every day, my family really loves it also! You really have a brilliant idea about putting a craft stick into a watermelon. Thanks, Marie! I borrowed the idea from a friend. I’m not that smart! Okay, this is a brilliant idea! Can’t wait to try it out. Thanks so much, Lara! I hope it works well for you. Now that’s a fun idea! I love watermelon but not really a fan of the mess. 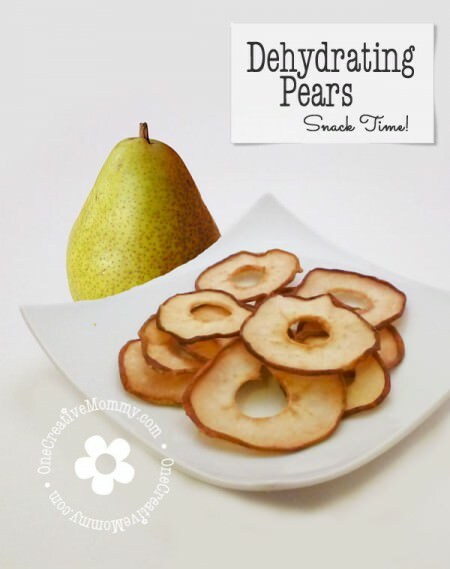 This is so much easier than cutting it into chunks! Thanks for sharing. I feel exactly the same! I love to eat it, but I hate to cut it up, and I’m not a fan of the mess! Such a smart idea, Heidi! Thanks so much, Heather. My friend’s the smart one. This was her idea. I’m just good a repeating the good ideas of others! How brilliant! Where has this been all my life? Thanks, Jennifer! I hope it works for you! I love this idea, I have company coming Saturday which includes a three year old. I’m so going to use this, thanks for sharing, followed you here from the Do Tell Tuesdays link pary. You’re welcome, Joyce! I hope it works for you. This is such a cute and fun idea! I actually saw GRILLED watermelon for the first time today so perhaps grilled watermelon on a stick. WOW! Thanks, Krystal. Grilled watermelon? Really? Was it good? Thanks, Sarah! Have a great week! That is just inspired. My kids love watermelon but everything just gets in a big old sticky mess when they try and eat it. I’ll have to give this a try instead. Thanks, Clare! Now I just need a trick to keep me from getting all sticky when I cut it up! That would probably work really well, Jennifer. Good luck! I love this cute idea Heidi! My Grandkids would love it..so fun! Thanks, Shari! I hope they love it! Pinned and will be sharing on FB!! 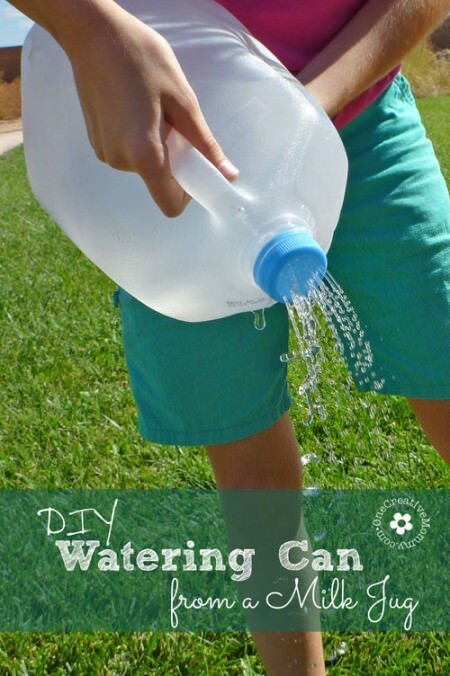 Love this clever idea! Thanks so much, Evelyn! I always love your party. This is brilliant, Heidi! Watermelon is always so messy. This is such a better way to serve it. Thanks so much, Carrie! It does keep down the mess!